hello everyone! it has been sometime since i blogged! have been so busy with my new house and moving in, packing and unpacking, with almost no time to scrap and blog! however, in the mist of all the messiness i am in now, i would like to drop by today to share with you the latest class on studio calico - color theory! 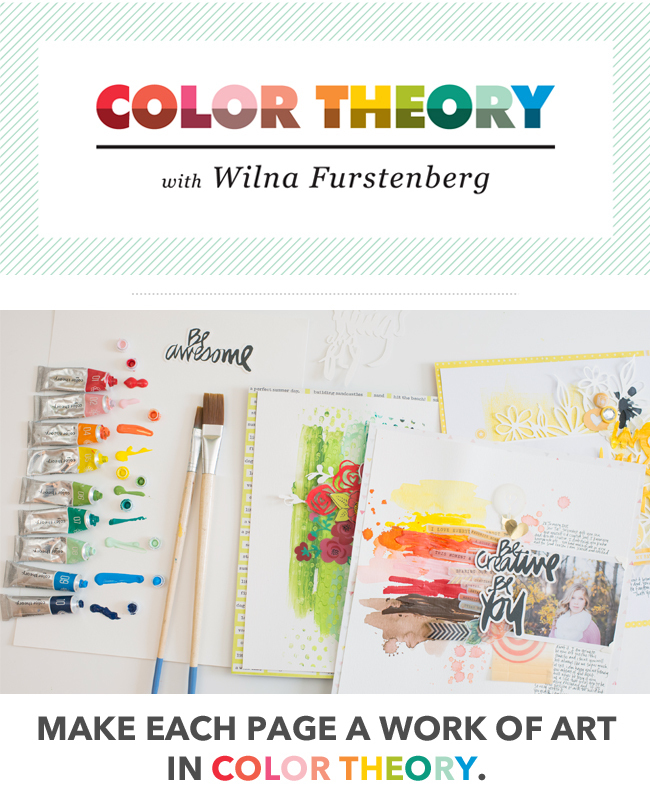 i am extremely excited about this class as i am a big big fan of wilna furstenberg! i have taken some of her previous classes and her classes are always filled with beautiful layouts and wonderful videos where she will show you how she made every one of her layouts! i enjoy watching her work and i have learned so much from her! if you have not seen any of her videos before, you can check this out on the studio calico blog. and wilna designs the prettiest digital cut files and these will be available to you once you sign up! enrollment for color theory will close on february 28th at 11:59pm est and class will start on 3rd march. to sign up or to find out more details on the class, click here. lastly, thank you so much for dropping by, i will be scrapping and updating this space more often once i have settled down (which i hope is very soon). in the meanwhile, hope to see you in class!